She completed bachelor's degree of Business Administration Department of Anadolu University in 2005. 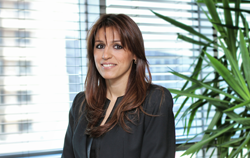 She joined Hidro Dizayn in 2005 and currently holds accounts manager position. She is married and has two childs. 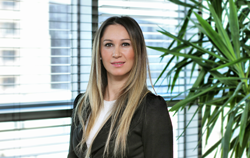 Mrs. Büyükkılıç completed her Public Relations degree at Eskişehir Anadolu University in 2001. After working for private sector as “Manager of Tender Group” and “Quality Management Representative”, she joined Hidro Dizayn family in mid-2012. Currently, she holds position as “Management Representative” for ISO 9001 Quality Management System, EN ISO 14001 Environmental Management System and OHSAS 18001 Occupational Health and Safety Integrated Management System. Mrs. Büyükkılıç is married and she has two childs. She speaks Turkish (native) and English. 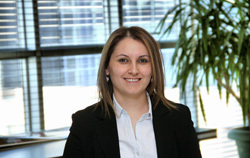 Mrs. Kaya completed her bachelor's degree of Environmental Engineering at Süleyman Demirel University in 2003. Her master's degree in the field of environmental science is still in progress. After working in various companies as Environmental Engineer, in 2008 she joined Hidro Dizayn as “Environmental, Health and Safety Specialist”. She is married and she has two childs. She speaks Turkish (native) and English.